Home Galleries Video Gallery Introducing the L-Series: You raised the bar. We changed the game. Introducing the L-Series: You raised the bar. We changed the game. John Deere 1910G is the first G-Series forwarder. Look at the machine at work. G-Series harvester and forwarder launch coming in October! Take a closer look! 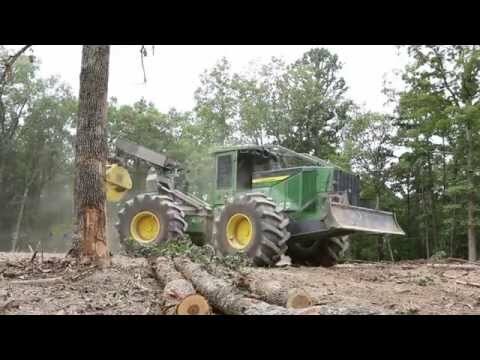 John Deere Introducing the L and M-Series Forestry Machines.John Deere changed the game once again with a new line-up of forestry equipment designed with hundreds of hours of input from customers who live logging every day and who know what works and what doesn't. The new L-Series Skidders and Wheeled Feller Bunchers boast enhanced performance, cab comfort, controls, serviceability, and productivity.